The Bush family assured Donald Trump this past summer that the funeral of patriarch George H.W. Bush would not include any criticism of the sitting President, it was learned on Tuesday. The news emerged as one of George H.W. Bush’s grandsons says that death of the 41st President should be an opportunity for the nation to come together in mourning while putting aside political differences. 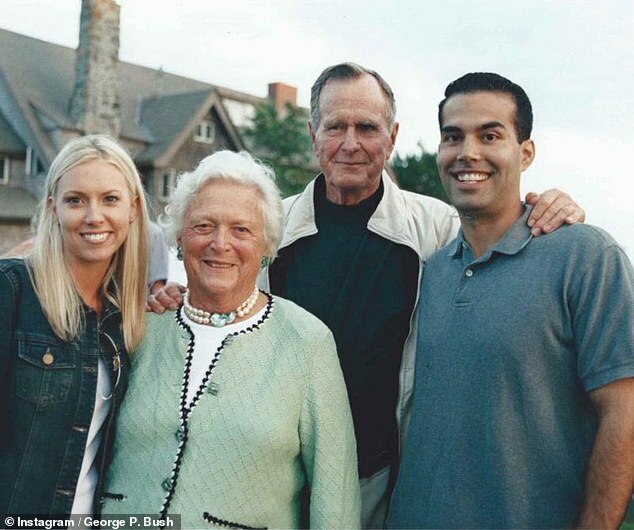 George P. Bush, the 42-year-old son of former Florida Governor Jeb Bush, told CNN that his late grandfather would have wanted Americans of all political views to unite during his funeral. ‘Whether it’s him or his staff, I know, and my grandmother, they all wanted all current occupants to be a part of this process and to take advantage of this time where we can put politics aside and focus on the greatness of our country and devotion to causes greater than ourselves,’ Bush told CNN. Bush, who also enters politics, currently holds the office of Texas Land Commissioner. ‘There’s a time for politics and there’s a time for governing, but there’s also a time for reflection, and this is a time for reflection for our country to think about the values that make our country great,’ Bush said. George H.W. 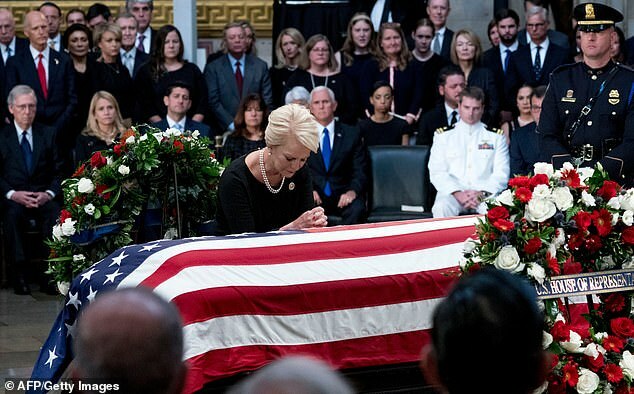 Bush’s body has been lying in state in the U.S. Capitol Rotunda since Monday. 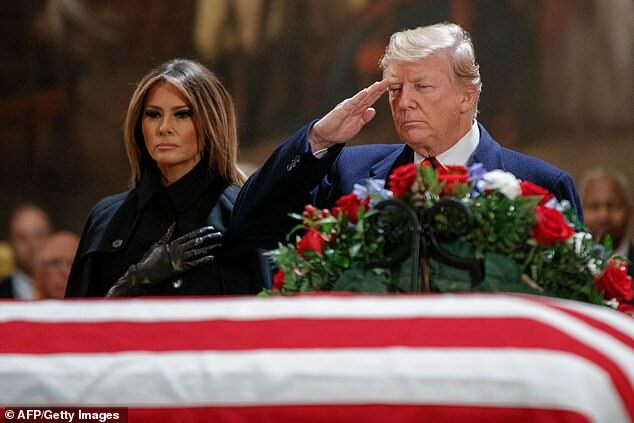 President Donald Trump and First Lady Melania Trump paid a visit to the Rotunda on Monday night and paid their respects to Bush. 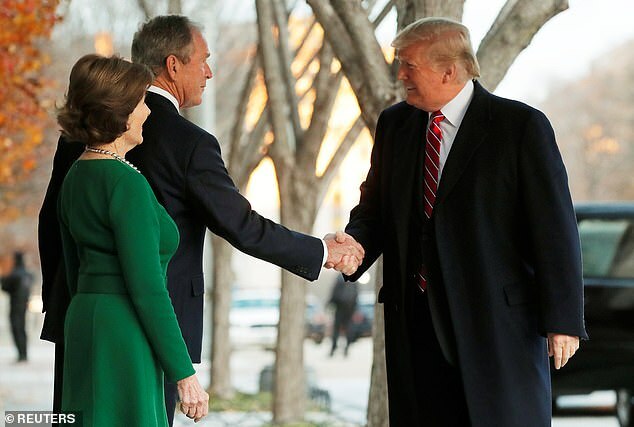 On Tuesday, the President and First Lady greeted former President George W. Bush and former First Lady Melania Trump at Blair House, just across the street from the White House. Earlier on Tuesday, Melania Trump gave Laura Bush a glimpse of the White House Christmas decorations. The meetings and pleasantries indicate that the Trumps and the Bushes are at a truce. The Bush family and Trump have been at war with each other politically, particularly since the President mocked Jeb Bush during the Republican Party primary campaign. Before and after he was elected President, Trump has on numerous occasions criticized former President George W. Bush, particularly over the Iraq War and for – in his mind – failing to protect the country against the 9/11 terrorists. Trump, at one point, also criticized George H.W. Bush’s ‘thousand points of light,’ a phrase that the former President used and later made into a slogan encouraging Americans to volunteer. Despite the bitterness, the Bush family has made it clear that Trump is welcome to attend funeral services. The Bushes have also planned the funeral so that the focus would be on George H.W.’s lifetime accomplishments rather than any political disagreements, according to The Washington Post. In late August, the family of late Arizona Senator John McCain used the occasion of his death and the week-long funeral and memorial services to implicitly criticize Trump. The President was also told that he was not invited to McCain’s memorial service at Washington National Cathedral. 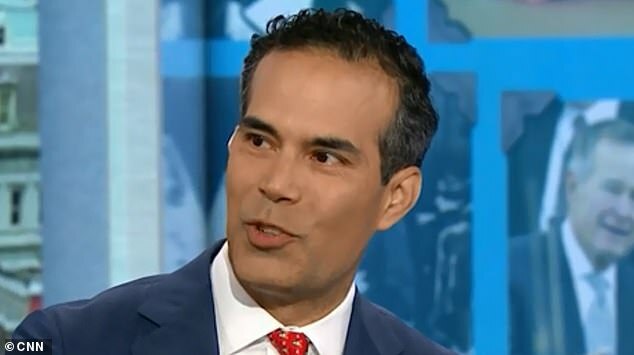 This time, around, George P. Bush says that his grandfather’s death is an occasion for unity. ‘It’s important for the country to take this time and reflect on the commonalities that we have rather than the differences,’ Bush said. Trump will not speak at the memorial service on Wednesday. George W. Bush, former Canadian Prime Minister Brian Mulroney, former Senator Alan Simpson, and presidential historian Jon Meacham will deliver eulogies.